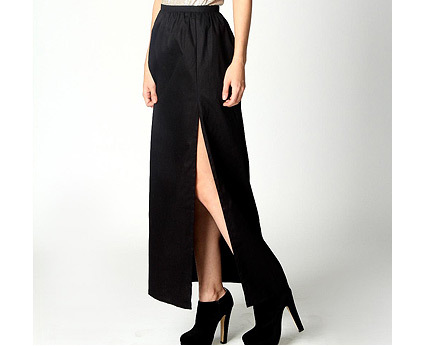 This black maxi skirt with the side split will make you look elegant and stylish. Extremely cheap long pleated skirt is being sold by zara.com. You can currently buy this skirt for as little as £7.99 which is roughly 73% off. Decent deal! Create a casual yet elegant outfit with this jersey maxi skirt with side open pockets. Available in grey and black.